Since receiving his M.F.A. 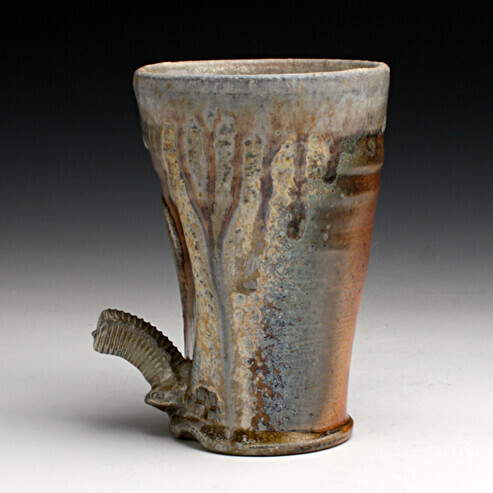 from Indiana University, Bloomington in 1996, Von has become a nationally and internationally exhibited artist in ceramics. He has also established a commendable reputation in architectural ceramics, production design, RAM Press methods, slip casting, mold making and wheel throwing, along with kiln design and construction. Venhuizen’s work has been included in over 100 juried, invitational and solo exhibitions since 1993. His pieces have been published in 12 books and periodicals and have been collected by private collectors, university collections, and museums. objects. Some of these surfaces will relate closer to the beginning of the object’s life. Others will relate to the objects nearing the end of their expected usefulness. learn to create in new ways and this inevitably found itÕs way into the classroom. like in nature but the subject matter is to have a more industrial form.